So this morning when I hopped into my replacement car, which doesn't have a iPod hookup, I had no choice but to drive to work listening to the radio, and at about five minutes into my morning commute all of sudden 'bittersweet symphony' by The Verve gets played. I'm not a diehard fan of The Verve and I've never been into their early albums, but I gotta say that Urban Hymns still is one of my favourite albums ever. I know everbody and their mom likes this hit-album that even kicked Oasis-at-their-peak out of the UK album charts, but to me this is just a perfect record. And 'bittersweet symphony' definitely is one of the few exceptions on my repulsion for hit singles: it's just one of my favourite songs on one of my favorite records. How could a record possibly go wrong when it kicks off with a song like this? No matter how many times 'bittersweet symphony' gets played, I always get carried away... Wait did I just call this a song? I of course meant to say 'anthem', because this has it all: an atmospheric intro, a good build-up, a catchy chorus without being cheesy, a seemingly chaotic ending, and most of all amazing lyrics! It rarely happens that I can relate to song lyrics this much but reading these lines always makes me feel like I could've written them. I wish. 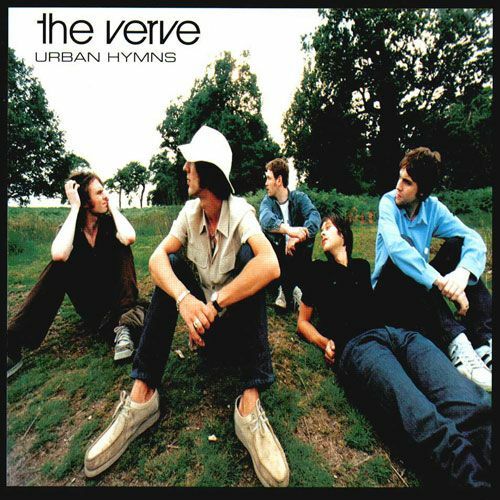 I've been going on about 'bittersweet symphony' but this next song is definitely one of my favourite songs on Urban Hymns: 'the rolling people'. It's got a spacey intro but then kicks in all groovy and the verses are sewn together by guitar solos, plus it has one of the catchiest chorusses of the entire album. I've always had a weak spot for song lyrics written in the first person plural, as this seems to involve the listener more: "here we are, the rolling people ... so come alive with the rolling people". After the second chorus the song gets all spacey again, and has Richard Ashcroft singing rather laid back until he stretches his vocal chords into the third chorus. There's an all-out guitar solo after that, over which Ashcroft seems to be improvising some incomprehensible mantra-like lines. After he switched back to actual words, Ashcroft rounds things up with "gonna take you home now woh woo" and the pounding bassline gets an even more prominent role when the song ends all jammy and noisy. This is the longest song of the album (7 minutes) but I never lose my interest for a second. As much as I love 'the rolling people' musically speaking, lyrically the songs never appealed to me as much. They seem to be on some next (drug-inspired) level, which I can't relate to that much. Next song is called 'catching the butterfly' and is an over 6 minute repetitive, trippy, almost chant-like song with fitting lyrics: "in my private dreams, my lucid dreams, my forgotten schemes". Up next is 'space and time' which is an intense yet rather dark song. The drumming on here is great, simple and basic but with a little fill on the right moments. 'Weeping willow' is the eighth song and is one of the greatest songs on Urban Hymns. Richard Ashcroft's singing is particulary melancholic on here, he seems to be singing in a lower key and more reverb has been added to his voice. The little bridges after each part of the chorus grab me everytime. 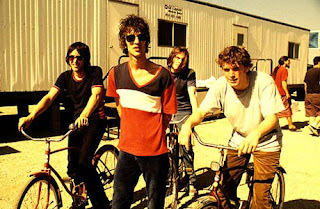 'One day' is the tenth song and features an almost crooning Richard Ashcroft about one day finding the beauty in life: "tie yourself to the mast my friend, and the storm will end". The next song is 'this time' on which electronics and sound effects are used in a rather noticable manner. This is a song about reminiscing and to me it features some of the best lyrics of the entire album. I guess they appeal more to me because lyrically this song has more of an uplifting undertone than most of the other songs: "no time for sad lament, a wasted life is bitter spent, so rise into the light. In or out of time, gonna rise straight trough the light." I love how Ashcroft makes that first sentence sound like "no time for sentiment". 'Velvet morning' is the penultimate song here and as uplifting as 'this time' was, this song has rather negative, almost destructive lyrics: "and now I'm trying to tell you about my life, and my tongue is twisted and more dead than alive. And my feelings, they've been betrayed, and I was born a little damaged man". The over 15-minute lasting closing song 'come on' consists out of three parts: 'come on', 'lord I guess I'll never know' and 'deep freeze'. 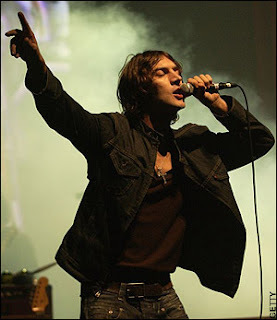 'Come on' is the most guitar-driven song on Urban Hymns which instantly makes it the heaviest and most pounding song on the record, and it has the lyrics to match it: "I must be feeling low. I talked to God in a phonebox on my way home. I told you my answer. I left you my dreams on you answer machine lord". I love the sheer agression and intensity of this song. I always thought this has a grungy, Nirvana-esque feel to it and its ending, which has Richard Ashcroft screaming and remotely sounding like Cobain, features a repeated "I'll break you in the head". I guess this song has the only curse words used on the album too. Urban hymns easily could've gone without the last two parts of 'come on', as 'lord I guess I'll never now' is over six minutes of complete silence and 'deep freeze' is over two unnecessaryminutes of weird sounds and noises, including a crying baby. All in all I think Urban Hymns is a brilliant record from the first second till the last, and I urge you to get in to this if you aren't already. I've listened to it countless times and upon every listening I still seem to notice new details and refinements. Considering this album was recorded in 1996, it definitely stood the test of time and still sounds suprisingly refreshing and inspired. Dat alleen maakt The Verve al cool "in my book".